For Cocos Island National Park, at least 235 plant species (70 endemic), 362 insect species (64 endemic), and 2 endemic reptiles have been identified: the lizard and the salamander; 3 spider species, 150 bird species, including 4 endemic, 57 crustacean species, 118 marine mollusks, more than 250 fish species, and 18 corals. Among the birds, endemic species stand out, such as the mosquerito of Cocos Island, the Cocos Island cuclillo (cuckoo), and the Cocos Island pinzón (finch). An endemic species is native to a limited geographical area and is only present in that area. Endemic species, found only in a specific area, are more vulnerable to the alteration of their habitat. In Costa Rica, nearly 4700 marine species have been recorded, of which 16% (747 species) have only been reported on Cocos Island. In its waters, there is abundance of white-tip sharks, giant hammerhead sharks, tuna, parrotfish, rays, and mackerels. A total of 45 endemic marine species have been registered in Cocos Island National Park, which represent almost 50% of endemic species in Costa Rica. The majority of endemic species are fish (33.3%), followed by crustaceans (28.9%), and mollusks (15.5%). 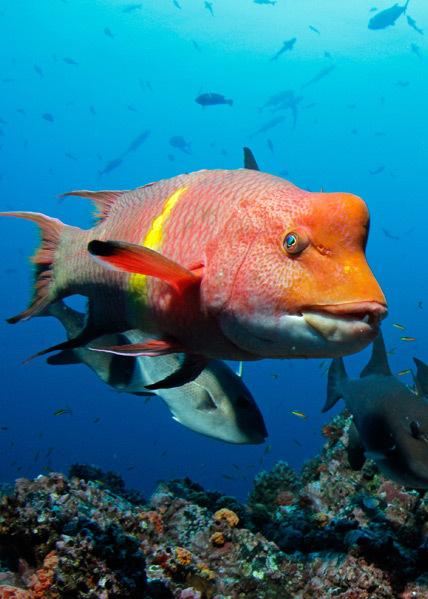 In addition, Cocos Island has biodiversity indexes up to 15 times higher than those in the continent. Cortés, J. 2012. Marine biodiversity of an Eastern Tropical Pacific oceanic island, Isla del Coco, Costa Rica. Rev. Biol.Trop. 60 (Suppl. 3): 131-185. Wehrtmann, I. S., Cortés, J., & Echeverría-Sáenz, S. (2009). Marine biodiversity of Costa Rica: perspectives and conclusions. In Marine Biodiversity of Costa Rica, Central America (pp. 521-533). Springer, Dordrecht.